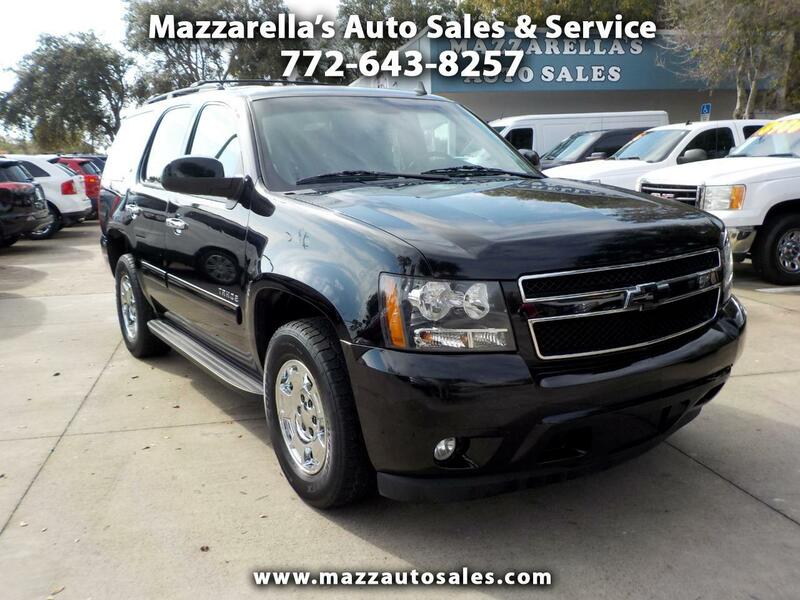 The Chevrolet Tahoe is a full-size crossover SUV with seating for nine and a maximum towing capacity of 8,500 lbs. This one is loaded and in great condition. Plenty of room for the family and tows the boat, too. Come check it out today! Mazzarella's Auto Sales & Service is a family owned business serving our community since 1999 in auto sales and a full service mechanic shop. Being born and raised in our home town of Vero Beach, we take pride in our inventory, reputation, and customer service. Our vehicles have been through a thorough inspection, serviced, and come with a 30 day or 500 mile power-train warranty. Many of what we sell come with the balance of factory warranties. We offer extended warranties and trade-ins are welcome. We offer full range financing through local banks, credit unions, and special financing for the credit challenged. Visit Mazzarella Auto Sales & Service located at 1995 US1 Vero Beach FL 32960 or fill out a credit application online, just click on the "Apply online" tab above. We look forward to doing business with you.